The paper this recipe was from called them “apple brownies,” but with no chocolate and a very un-brown batter, I’m not sure that the name fits. 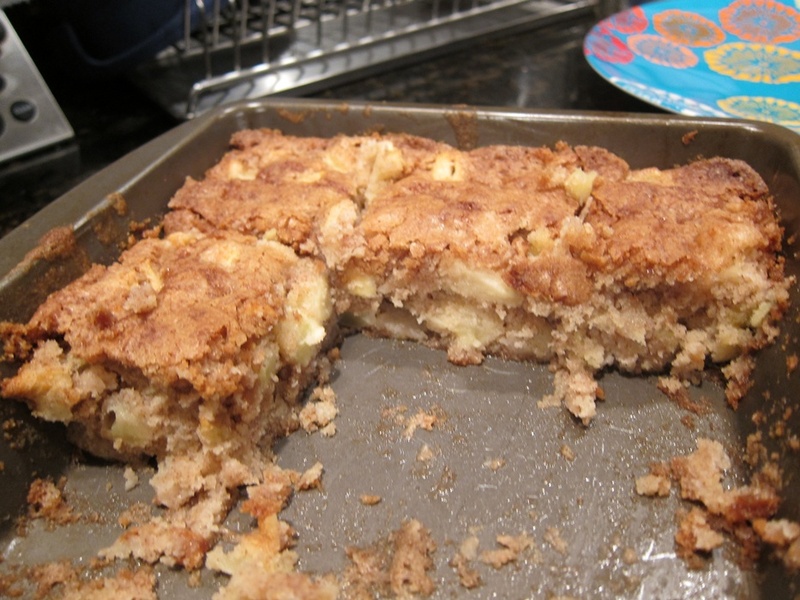 What ever kind of appley baked good they are, they’re well worth trying! Preheat your oven to 350 degrees. Butter a 8X8″ pan well. 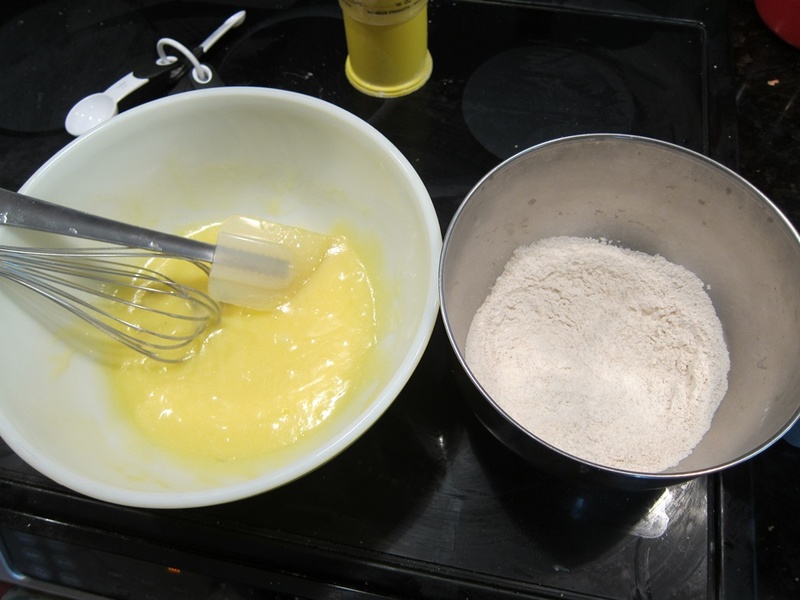 Whisk together the flour, cinnamon, baking powder, salt, and baking soda in a medium bowl, then set aside. 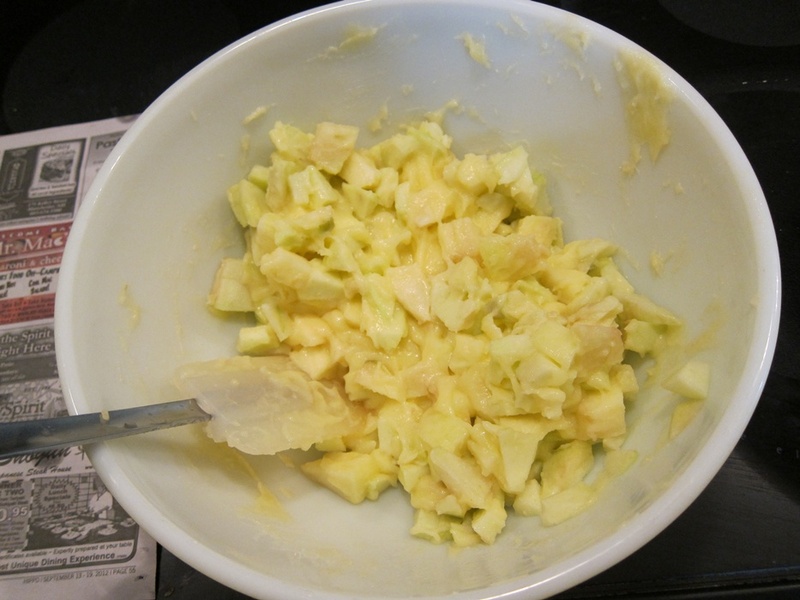 In a large bowl, whisk together the butter, sugar, and egg. I waited until now to peel the apples so they wouldn’t get a chance to go brown. 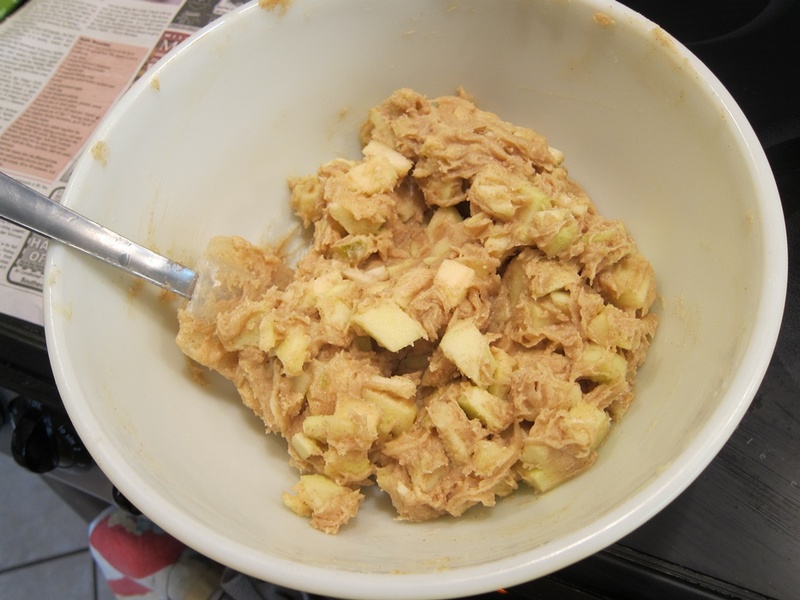 Stir the apple chunks and nuts, if using, into the sugar mixture. 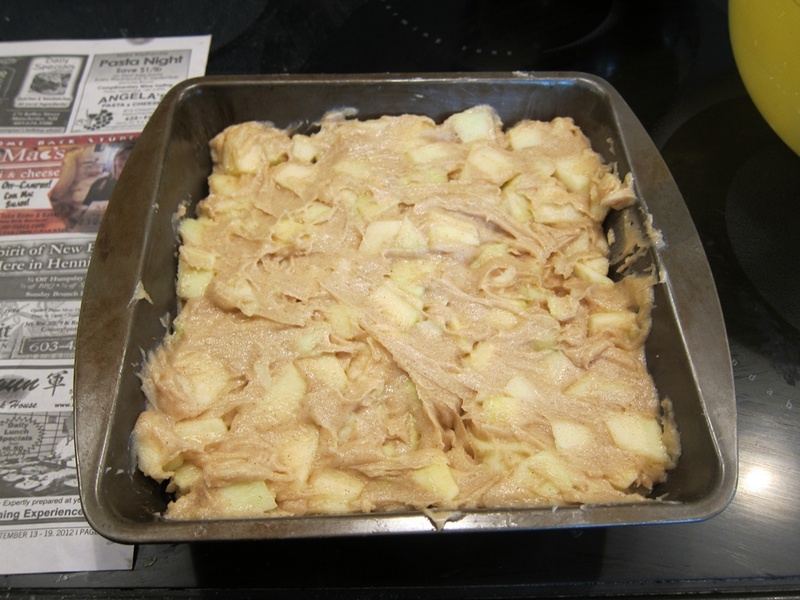 Stir the flour mixture into the apple/sugar mixture until evenly moistened. Bake 40-50 minutes, until it passes the toothpick test. Mine was set at 45. Let cool 30 minutes before eating. While I was stirring everything together, it didn’t seem like a lot of batter for all that apple, but it filled out while baking. Also got a nice crisp top! From the September 13-19, 2012 issue of The Hippo. In a large bowl, whisk together the butter, sugar, and egg. Stir the apple chunks and nuts into the sugar mixture. 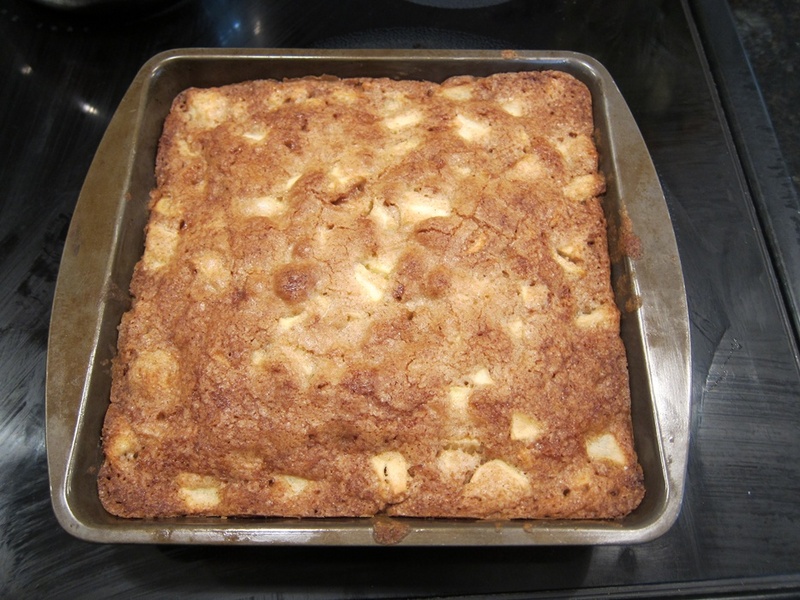 Add the flour mixture into the apple/sugar mixture, stirring until evenly moistened, then transfer to the prepared pan. Bake 40-50 minutes, until it passes the toothpick test. Let cool 30 minutes before eating. 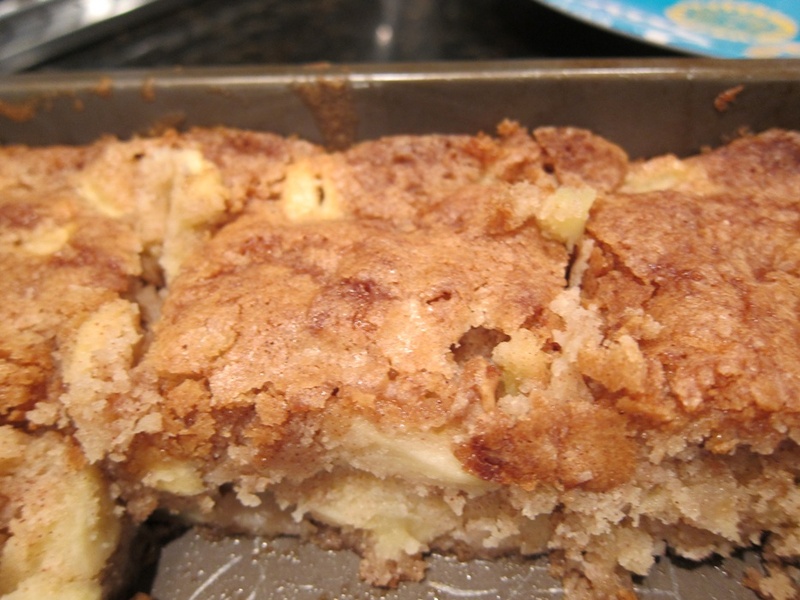 This entry was posted in Dessert and tagged apple bars, apple brownies. Bookmark the permalink.